How to make your own internet of things wifi connected device. In this class we'll go over the basics of wiring and programming the ESP8266 with the NodeMCU development board. You'll learn how to receive input over wifi and write output over wifi as well. Registration to this class includes all parts and electronics needed for the project, and you get to keep your built kit to take home. 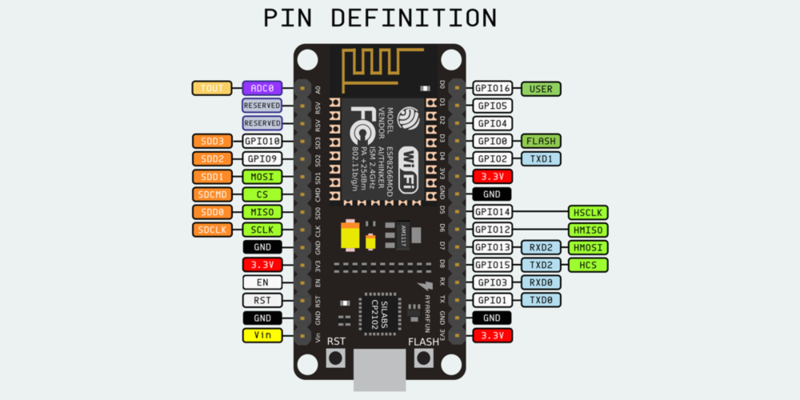 The ESP8266 is a low-cost Wi-Fi chip with full TCP/IP stack - meaning you can remotely control the device over wifi with a phone, computer, or server. It's a great platform for your internet-of-things device ideas, or doing projects like home automation. In the class we'll go over how to setup & install the board. How to use the Arduino IDE to easily program it over USB. Then you'll learn how to control an LED over wifi through a web browser. Finally, you learn how to read input using an ambient light sensor over wifi. Once you know the basics of input & output over wifi, you'll be ready to experiment with other sensors and applications. This probably shouldn't be your first time programming. Knowing the basics of coding is good enough. If you have experience with Arduino this will be like learning a new version of Arduino. If you don't have experience with Arduino or any kind of electronics, you'll still be able to keep up because the electronics part is fairly basic (just hooking up some wires and LEDs). You'll need to bring your laptop so you can program the board. We'll be providing all the parts and electronics needed to do a project so you just need to show up with your laptop. You will need to have a regular USB-A port, so bring an adaptor if your laptop doesn't have that (USB-C MacBook and MacBook Pro, for example).